I was run down today due to allergies so Mason offered to run a one-shot of the Conan 2d20 system. I was particularly interested to see how the 2d20 system played. My assumptions about the game from a read through (see my prior post) turned out to be more or less correct. I was a bit nervous that the damage calculations (which use a dice pool system similar to Mouseguard, Lady Blackbird, WEG d6 and others) would be slow or awkward, but after a couple of combat rounds it was really fast. 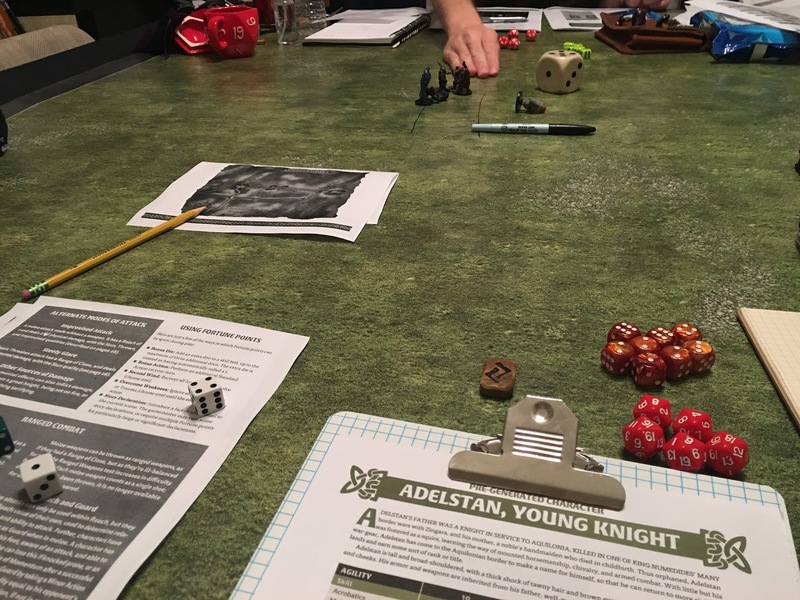 We had only two players and faced 3 opponents in each combat, but combat rounds averages < 10 minutes per round even with our rules lookups (which were many). I loved this system! Mason is a great GM. I am now VERY excited about the Star Wars game as this will be an excellent system choice I think! Thanks for the kind words, Stan. From the GM side of the game, I was pretty impressed with how the system ran. The rules given in the quickstart felt really smooth and easy to GM. Given I had about an hour to learn the rules and prep the scenario, this was a big deal. I particularly liked the mechanics for running the NPCs. All told, I think the 2d20 stuff shows great promise.